Awesome for you to release your creativity in other ways! I’m jealous. 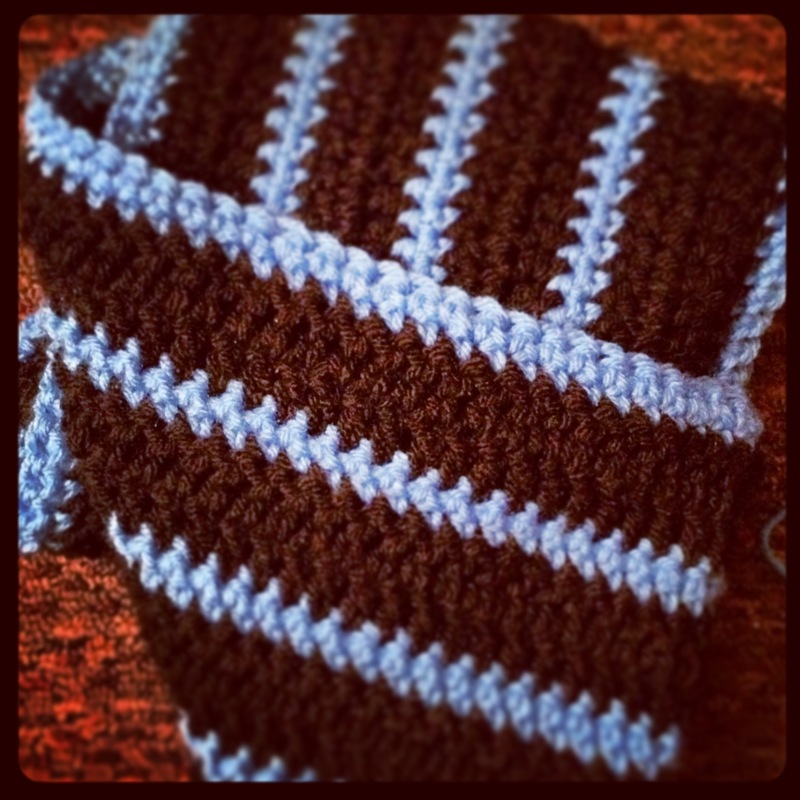 Sewing, crochet, making jewelry…I just don’t have the patience. How lovely! 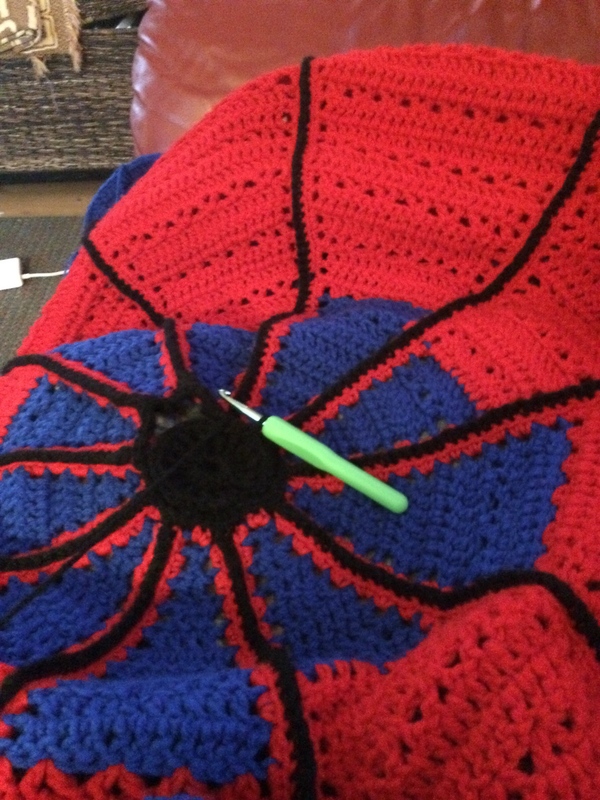 My grandmother tried teaching me to crochet but I never could get the hang of it so I admire people who know how to do it. 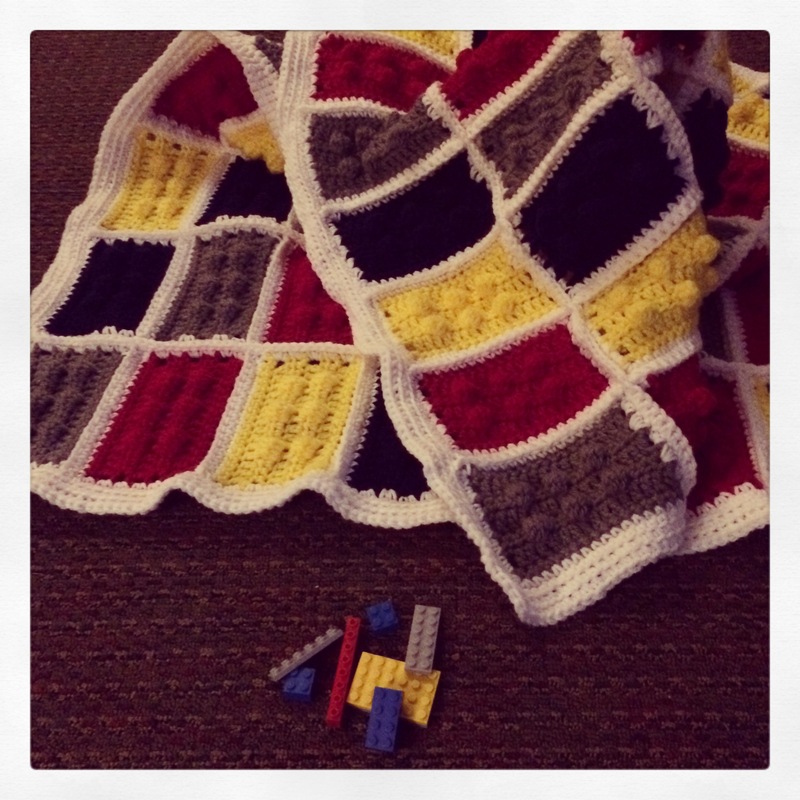 Fun color combinations – even a lego inspired one! Thanks Letizia. 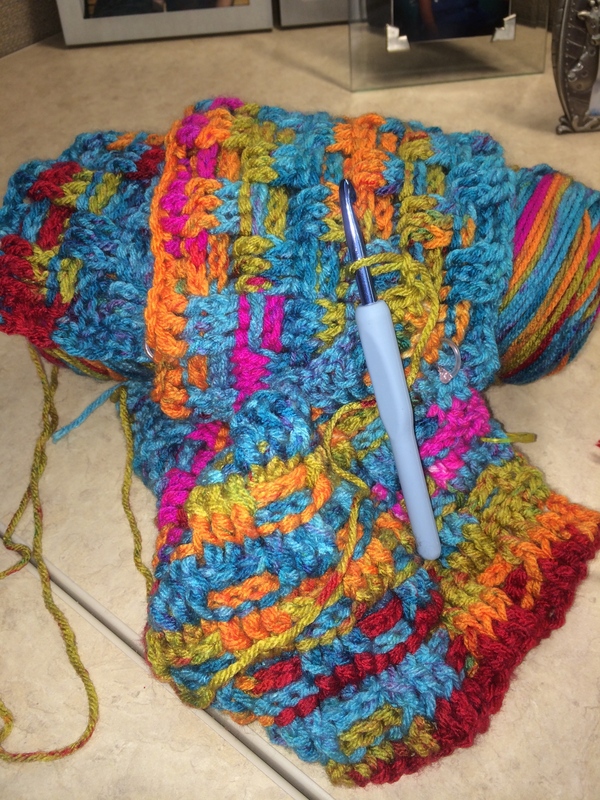 I learned to crochet young and am grateful for it. I’m trying to teach the daughter of a friend of mine. Keep the craft going you know! 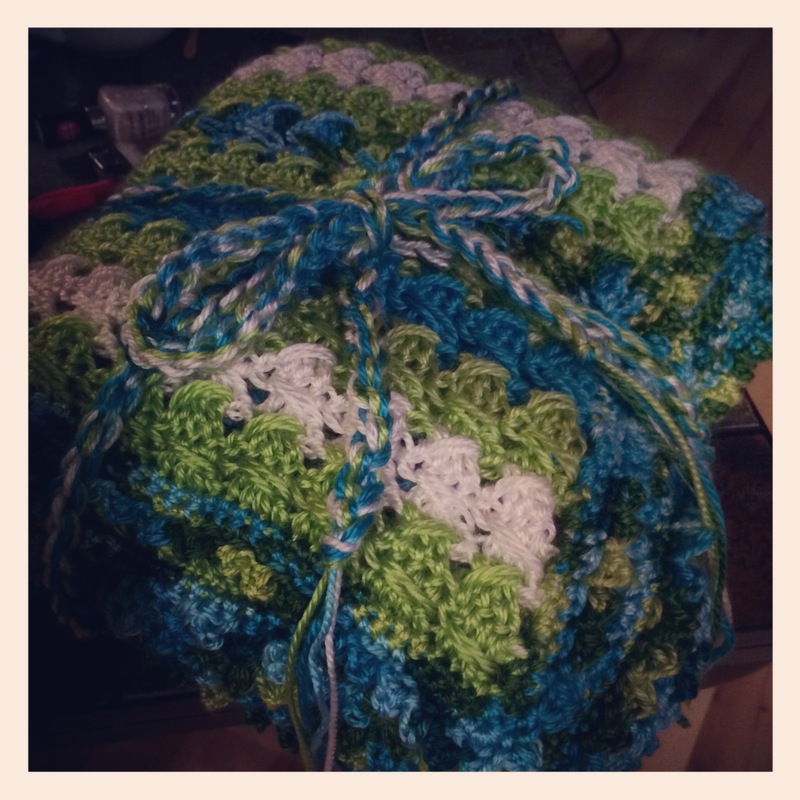 It’s a striped blanket folded into a cube with a bow for shipping. 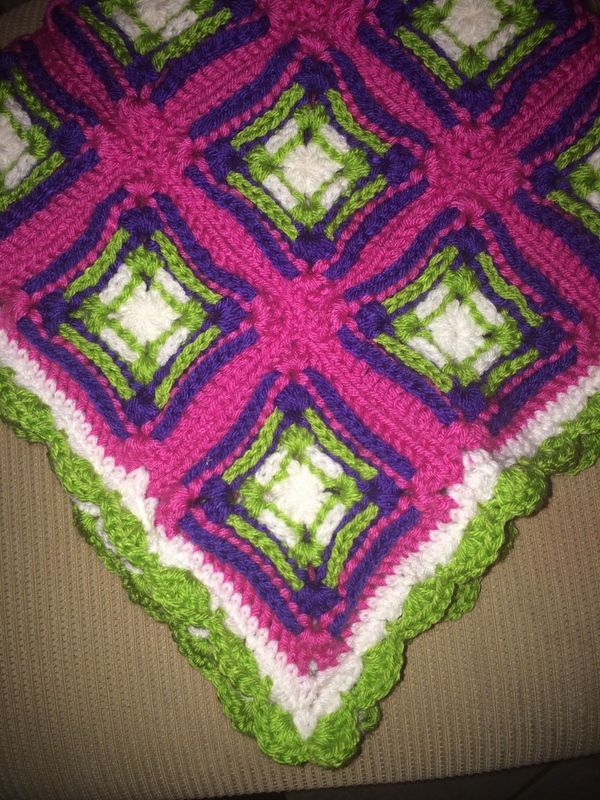 A gift to a friend who became a grandma for the first time. I hope you get your inspiration back. It’s an icky feeling not know what to write. What beautiful creations they are? Have you been doing this long? Is it hard? Thank you! I started the basics when I was about 8 and have learned new things every year. Hard? Sometimes yes and sometimes no!